English, major local dialects; Mande, Temne, Krio. Muslim 60%, Christian 10%, Indigenous faith 30%. Corruption, poor governance, weak institutions, poverty & environmental, health challenges. Diamonds; metal waste & scrap, wood pulp, waste paper, ingots and small quantities of titanium ores. As of 2007, Indian FDI stood at US$0.02 mn (EXIM Bank). Bharti Airtel which acquired Zain Africa for USD 10.7 billion in 2010 sold off to Orange Telecom of France in January 2017. Diaspora and PIO investments may be significant. They are mostly engaged in trade and manufacturing. A few of them are into mining and trading of gold and diamonds. There are about 60 Indian owned/ registered companies. 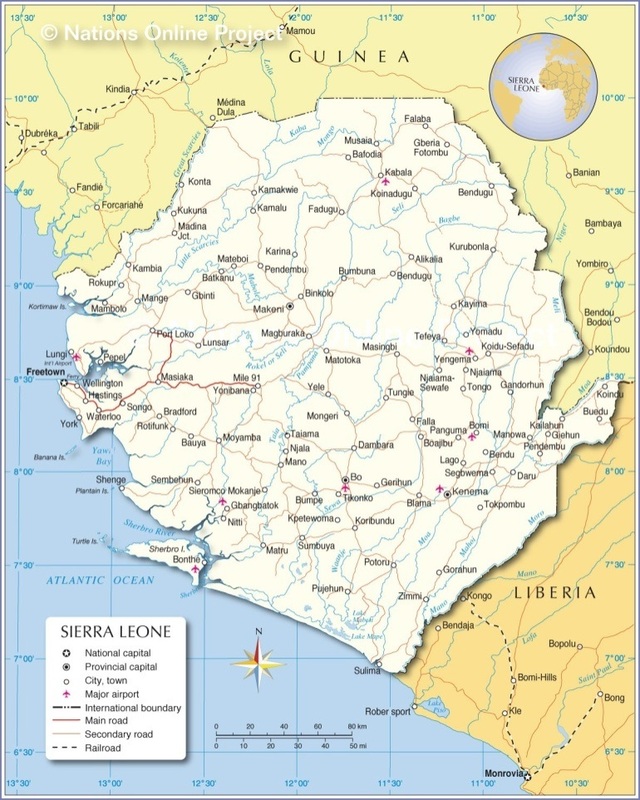 Indian Mercantile Association is the only Indian association in Sierra Leone. A Hindu temple is run by the local Temple Committee. Choithram Trust, managed by the Indian owned Choitram Group, runs a Charitable Hospital.